Guan Zong Chen, aka Graham Chen, a Chinese national, was arraigned July 25, 2017, in federal court in Boston, Massachusetts,non charges that he led a conspiracy to smuggle $700,000 worth of wildlife items made from rhinoceros horn, elephant ivory and coral from the United States to Hong Kong. Chen was arrested last year when he traveled from China to Australia and today’s hearing was his first court appearance on an indictment returned by a Boston grand jury in 2015 and unsealed in anticipation of the hearing. According to the eight-count indictment, Chen purchased the wildlife artifacts at U.S. auction houses located in California, Florida, Ohio, Pennsylvania, New York and Texas. He conspired with another Chinese national, a recent college graduate in China to travel to the United States to pick up the purchased items and either hand carry or arrange for them to be mailed to another co-conspirator that owned a shipping business in Concord, Massachusetts. The shipper then repacked the wildlife items and exported (smuggled) them to Hong Kong with documents that falsely stated their contents and value and without obtaining required declarations and permits. In April 2014, Chen visited the United States and visited the shipper in Concord, Massachusetts. 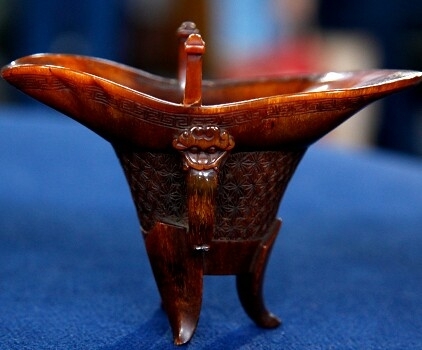 During the visit with the shipper, CHEN instructed the shipper to illegally export (smuggle) a sculpture made from elephant ivory to Hong Kong on Chen’s behalf and falsely declared it to be made of wood and worth $50. Jacob Chait, 34, the head of acquisitions and auctioneer of a Beverley Hills, Calif., gallery and auction house, appeared in Manhattan federal court in New York to face charges of conspiring to smuggle rhinoceros horns, in violation of the Lacey Act on Wednesday, according to the U.S. Department of Justice. He is charged in a one-count indictment handed up by a federal grand jury on Feb. 15. From approximately 2009 and 2012, Chait and his co-conspirators purchased rhinoceros horns and taxidermy mounts in the U.S. and sought to sell them to foreign buyers in private deals, including in at least eight separate deals or attempted deals involving 15 rhinoceros horns worth an estimated $2.4 million. This included one alleged incident in which Chait personally smuggled two endangered black rhino horns to China in his luggage. 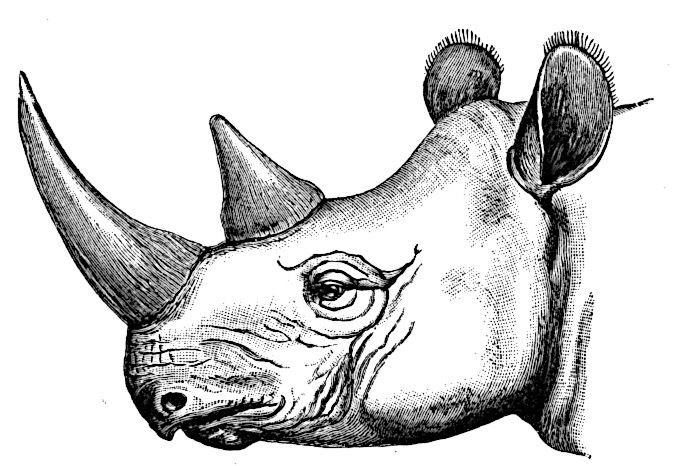 Rhinoceros horns are worth more per pound than gold due to the high demand in Asia and increasing scarcity of supply. The trade in rhinoceros horn and elephant ivory have been restricted since 1976 under the Convention on International Trade in Endangered Species of Wild Fauna and Flora (CITES), a treaty signed by over 180 countries around the world. Fengyi Zhou, a resident of Syosset, New York, and the owner of a business that specialized in Asian works of art, pleaded guilty today to illegally trafficking horns from endangered black rhinoceros. Zhou, 49, who has worked as an Asian art dealer for years, pleaded guilty today before U.S. District Judge William F. Kuntz II for the Eastern District of New York in Brooklyn, New York, to a one count information charging him with wildlife trafficking in violation of the Lacey Act. Zhou was identified as part of “Operation Crash” – a nationwide effort led by the USFWS and the Justice Department to investigate and prosecute those involved in the black market trade of rhinoceros horns and other protected species. In papers filed in federal court, Zhou admitted to purchasing as many as five uncarved rhinoceros horns from another Asian arts dealer in New York. Along with the horns, Zhou was given an “Endangered Species Bill of Sale,” from which Zhou was made aware that four of the horns were purchased in Texas and unlawfully transported to New York. 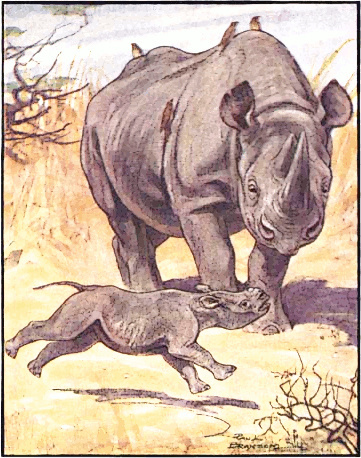 Immediately after purchasing the rhinoceros horns, Zhou offered to sell and later sold the horns, to an associate who was a Chinese national residing in the People’s Republic of China for more than $130,000. One man has been arrested and warrants issued for three others in connection with ongoing investigations into two organized crime networks believed to have trafficked at least 8,635 kg of ivory and 53 kg of rhino horn from East and Southern Africa to Asia. 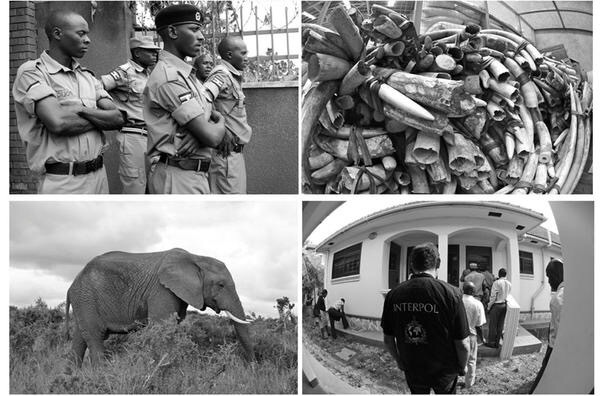 A 44-year-old Chinese national was arrested in Tanzania on suspicion of trafficking in government trophies following the deployment of INTERPOL Investigative Support Teams to Malawi, Tanzania and Uganda. Joseph Chait, the senior auction administrator of a Beverly Hills, California, gallery and auction house, pleaded guilty to conspiring to smuggle wildlife products made from rhinoceros horn, elephant ivory and coral with a market value of at least approximately $1 million! according to the U.S. Department of Justice. Chait and his co-conspirators engaged in illegal trafficking of wildlife with a market value of at least $1 million. Chait personally falsified customs forms by stating that rhinoceros horn and elephant ivory items were made of bone, wood or plastic. For example, during Asia Week in New York City in or about March 2011, Chait was approached about the potential sale of a carving of Guanyin, an East Asian spiritual figure made from rhinoceros horn (the Rhino Carving). Despite knowing that it was not a genuine antique, Chait and his co-conspirators accepted the Rhino Carving for consignment, advertised the sale to foreign clients in China and put the Rhino Carving on the cover of Auction House-1’s catalogue in connection with an auction of Asian art and antiques. After the Rhino Carving sold at auction for $230,000, Chait offered to make a false document for the buyer to help the buyer smuggle the item out of the country. The fake invoice falsely stated that the item cost $108.75 and was made of plastic. A St. Cloud State University Professor pleaded guilty to smuggling elephant ivory and to illegally exporting rhinoceros horns from the United States in violation of the Lacey Act. Under the Lacey Act, it is unlawful to import, export, transport, sell or purchase wildlife, fish or plants that were taken, possessed, transported or sold in violation of a state, federal or foreign law. YIWEI ZHENG, A/K/A STEVE ZHENG, 43, of St. Cloud, Minn., pleaded guilty in U.S. District Court in Minneapolis to knowingly and fraudulently smuggling elephant ivory out of the United States on April 30, 2011, to a recipient in Shanghai, China, contrary to U.S. smuggling statutes. ZHENG also pleaded guilty to violating the Lacey Act by knowingly exporting two rhinoceros horns from the U.S. between July 25, 2010 and July 27, 2010, with knowledge that the two rhinoceros horns were transported and sold in violation of the laws and regulations of the United States, including the Endangered Species Act. In addition to his employment as a Professor of Philosophy at St. Cloud State University, ZHENG operated an online business known as Crouching Dragon Antiques. As part of this business, ZHENG offered for sale and sold a variety of items, including items made of elephant ivory and rhinoceros horn. 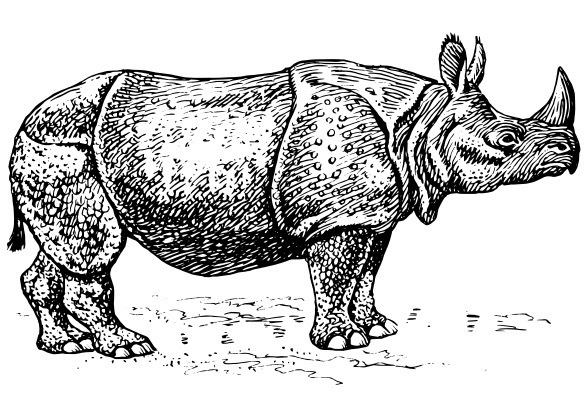 Lumsden W. Quan, 47, an art dealer from San Francisco, California, pleaded guilty today to conspiracy to violate the Lacey and Endangered Species Act and to a violation of the Lacey Act for knowingly selling black rhinoceros horns to an undercover agent from the U.S. Fish and Wildlife Service (USFWS). His co-defendant, Edward N. Levine, charged in the indictment remains scheduled for trial on Oct. 19, 2015, in Las Vegas, Nevada. Quan pleaded guilty in U.S. District Court in Las Vegas, Nevada, to all charges in the indictment. He was identified as part of “Operation Crash,” a nationwide effort led by the USFWS and the Justice Department to investigate and prosecute those involved in the black market trade of rhinoceros horns and other protected species. Quan admitted in federal court to conspiring with Levine to sell two black rhinoceros horns to an undercover agent posing as a Colorado wildlife collector. Quan stated that he and Levine arranged to have the horns transported to Las Vegas, where on March 19, 2014, Quan sold them to the agent for $55,000. Quan faces a maximum sentence of five-years imprisonment. A Texas art appraiser linked to Zhifei Li has been sentenced to two years in prison in an Operation Crash rhino horn and ivory investigation. Ning Qiu, 43, of Frisco, Texas, an appraiser of Asian art, was sentenced today by U.S. District Judge Thad Heartfield, in Beaumont, Texas, to 25 months in prison to be followed by three years of supervised release for conspiring to smuggle rhinoceros horns and objects made from rhino horn and elephant ivory, worth nearly $1 million, from the United States to China. Qiu was also directed to pay a $150,000 fine, which was directed to the Lacey Act Reward Fund. Qiu had worked for seven years as an Asian antique appraiser for an auction house in Dallas, Texas. Qiu had pleaded guilty to an information charging him with conspiracy to smuggle and violate the Lacey Act. He was identified as part of “Operation Crash” – a nationwide effort led by the USFWS and the Department of Justice to investigate and prosecute those involved in the black market trade of rhinoceros horns and other protected species. In papers filed in federal court, Qiu admitted to acting as one of three antique dealers in the United States who Zhifei Li, the admitted “boss” of the conspiracy, paid to help obtain wildlife items and smuggle them to Li via Hong Kong. Li was sentenced to serve 70 months in prison on May 27, 2014, in federal district court in Newark, New Jersey, for playing a leadership and organizational role in the smuggling conspiracy by arranging for financing to pay for the wildlife, purchasing and negotiating the price, directing how to smuggle the items out of the United States and obtaining the assistance of additional collaborators in Hong Kong to receive the smuggled goods and then smuggle them to mainland China. Qiu admitted to meeting Li in 2009 through his work at the auction house in Dallas, Texas, and entering into a conspiracy with Li whereby Qiu traveled throughout the United States to purchase raw and carved rhinoceros horns and elephant ivory for Li, often receiving specific instructions from Li on which items to buy and how much to pay. Upon purchasing the items, Li transferred funds directly into Qiu’s bank accounts in the United States and China. After acquiring the items for Li, Qiu arranged for them to be smuggled to a location in Hong Kong, which was provided by Li. In December 2013, another one of Li’s suppliers, Qiang Wang aka Jeffrey Wang was sentenced in the Southern District of New York to 37 months in prison. As part of his plea, Li admitted that he sold raw rhinoceros horns worth approximately $3 million, approximately $17,500 per pound, to factories in China where raw rhinoceros horns are carved into fake antiques known as Zuo Jiu, which means “to make it as old” in Mandarin. In China, there is a centuries-old tradition of drinking from an intricately carved “libation cup” made from a rhinoceros horn. Owning or drinking from such a cup is believed by some to bring good health and true antiques are highly prized by collectors. The escalating value of such items has resulted in an increased demand for rhinoceros horn that has helped fuel a thriving black market, including recently carved fake antiques. The leftover pieces from the carving process were sold for alleged “medicinal” purposes even though rhino horn is made of compressed keratin, the same material in human hair and nails and has no proven medical efficacy. Between 2009 and 2013, Qiu purchased and smuggled to Hong Kong at least five raw rhinoceros horns weighing at least 20 pounds. Qiu smuggled the raw rhino horns by first wrapping them in duct tape, hiding them in porcelain vases and falsely describing them on customs and shipping documents, including by labeling them as porcelain vases or handicrafts. Qiu purchased several of the horns he smuggled to China from Elite Decorative Arts, an auction house located in Boynton Beach, Florida. Elite Decorative Arts has entered a guilty plea in District Court in West Palm Beach, Florida, for its role in illegally trafficking and smuggling wildlife, including rhinoceros horns, elephant ivory and items made from coral. Elite is scheduled to be sentenced on May 20, 2015. On Tuesday, Canadian antiques dealer Xiao Ju Guan, also known as Tony Guan, pleaded guilty to attempting to smuggle rhinoceros horns from New York to Canada in connection with the Operation Crash horn smuggling crackdown. Guan, 39, of Richmond, British Columbia, faces up to 10 years in prison. Prosecutors said Guan and others also smuggled more than $400,000 of rhino horns and sculptures made from elephant ivory and coral from various U.S. auction houses to Canada. Guan, the president and owner of an antiques business in Richmond, British Columbia, was arrested on March 29, 2014, after flying from Vancouver to New York and purchasing two endangered black rhinoceros horns from undercover special agents with the U.S. Fish and Wildlife Service at a storage facility in the Bronx. After purchasing the horns, Guan had the undercover agents drive him and a female accomplice acting as his interpreter to a nearby express mail store where he mailed the horns to an address in Point Roberts, Washington, less than a mile from the Canadian border and 17 miles from his business. Guan falsely labeled the box of black rhino horns as containing “handicrafts.” Guan indicated that he had people who could drive the horns across the border and that he had done so many times before. Ning Qiu, a resident of Frisco, Texas, and an appraiser of Asian art, pleaded guilty today in federal court to participating in an illegal wildlife smuggling conspiracy in which rhinoceros horns and objects made from rhino horn and elephant ivory worth nearly $1 million were smuggled from the United States to China. Qiu, 43, who has worked as an Asian antique appraiser for seven years, pleaded guilty in Plano, Texas, to a one count information charging him with conspiracy to smuggle and violate the Lacey Act. Qiu was identified as part of “Operation Crash” – a nationwide effort led by the US Fish and Wildlife Service and the Justice Department to investigate and prosecute those involved in the black market trade of rhinoceros horns and other protected species. According to documents filed in federal court, Qiu admitted to acting as one of the three antique dealers in the United States paid by Zhifei Li, the admitted “boss” of the conspiracy, to help obtain wildlife items and smuggle them to Li via Hong Kong. Li was sentenced on May 27, 2014, in federal district court in Newark, New Jersey, to serve 70 months in prison for his leadership role in the smuggling conspiracy. Li arranged financing, negotiated the price and paid for rhino horn and elephant ivory. He also gave instructions on how to smuggle the items out of the United States and obtained the assistance of additional collaborators in Hong Kong to receive the smuggled goods and then smuggle them to him in mainland China.